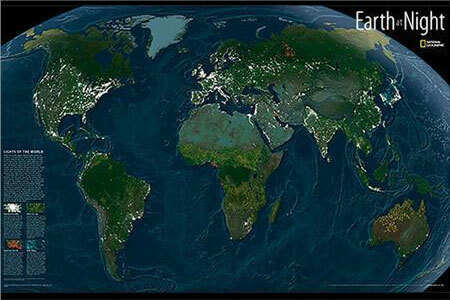 This brilliant peel and stick poster Sticker by National Geographic has beautiful depth, depicting the lights of the Earth at night. View the most populated areas around the globe, night fishing locations and where fires rage with this glow and the dark map that uses satellite images from a one-year period and transforms it into an intriguing décor piece for you to enjoy. 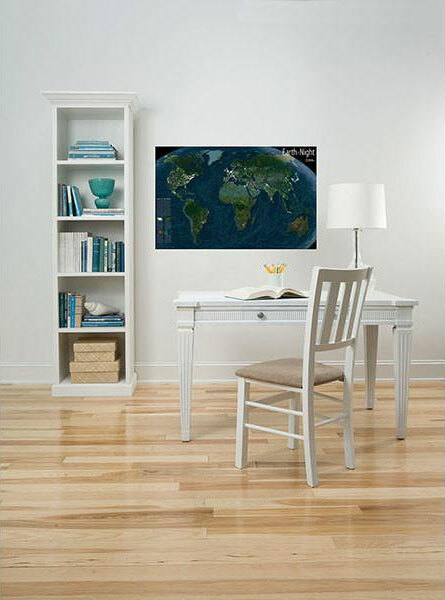 This 60.96 cm x 91.44 cm map Sticker is safe for walls and will not leave any sticky residue behind. WallPops Maps can be reused multiple times without losing adhesive strength.